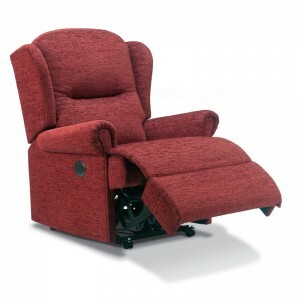 The Scott Range of 2 section back style manual recliners. They are available as handle or catch actions. Also available in electric & electric lift & rise recliners. Large choice of fabrics & leather. Settees also available, fixed, reclining and electric reclining.